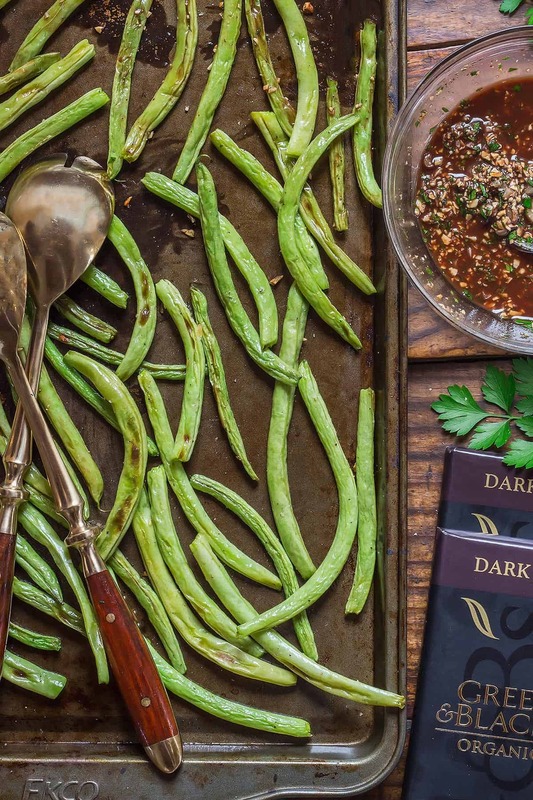 These Baked Green Beans with Chocolate Picada make a great holiday side dish with a twist. The garlicky pesto-like sauce with almonds, parsley and chocolate gives roasted green beans an exciting makeover. This post is sponsored by Green & Black’s Organic who make delicious dark chocolate bars that are great to give savoury recipes a unique twist. Are you ready to shake things up for this year’s holiday dinners? I already suggested you ditch the usual pumpkin pie or at least offer another alternative to enjoy pumpkin flavors with these Chocolate Pumpkin Brownies. Now how about the same old green bean casserole? 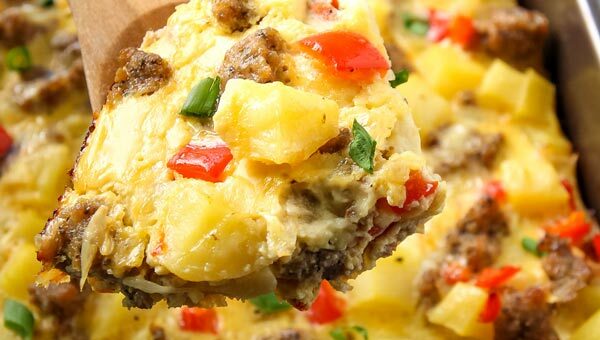 Are you a huge fan and consider it a staple dish that can’t be changed? Or are you on the fence? Personally, it’s another dish I didn’t grow up eating and even 10 years of being exposed to North American Thanksgiving culture hasn’t made me a fan. I think part of the problem is that almost all green bean casserole recipes call for cream of mushroom soup. And any kind of canned cream of something just is not my style. Luckily, there are plenty of other ways how to cook fresh green beans. I definitely prefer my vegetables roasted instead of cooked in mystery cream. So oven baked green beans it is! In this green bean recipe, I start by preheating the oven and also the baking sheet. This ensures that there will be these nice browned and blistered spots on the green beans (without having to bake them to death). After washing, I trim the green beans and pat them dry thoroughly with paper towels or a clean kitchen towel. By removing any excess water the beans won’t steam but actually nicely roast in the oven. You could also call these garlic green beans because in the next step I make garlic oil by quickly cooking minced garlic cloves in olive oil until super fragrant. I am tossing the green beans with salt, pepper and part of that garlic oil – the rest I am using later in the picada. Finally, the green beans go in the oven onto the heated baking sheet. Here it is important to make sure to spread out the fresh green beans into a single layer, because overcrowding can also cause them to start steam cooking. If you want to multiply the recipe to serve for a bigger holiday crowd, I recommend using several baking sheets (about 1 per pound of beans) – you can even bake them at the same time. As mentioned earlier, I don’t like to overdo it with the roasting. 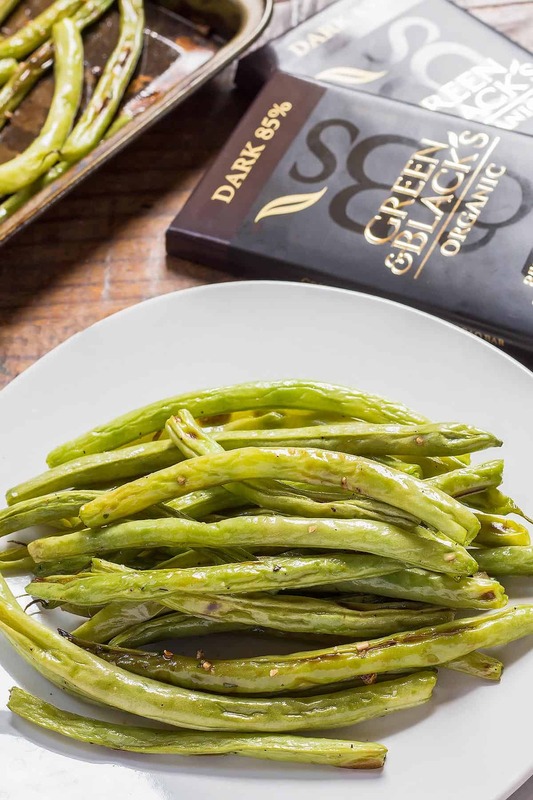 I know there are recipes for crispy green beans, but to be honest they look burnt to me and I don’t enjoy the texture (it seems more papery and dry than actually crispy to me). So I roast them until I start to see blistered spots (about 10 minutes), then I quickly toss the beans with a little parmesan cheese and continue roasting the green beans for about 5 more minutes. And that’s it – in my opinion the best green bean recipe! The Catalan (a part of Spain) Picada sauce is not to be confused with a Colombian dish of chopped meats that is also called Picada. Picada sauce is made of a variety of ingredients that are traditionally ground up in a mortar and pestle. It is similar to pesto, but the key ingredients can vary depending on which recipe it is used for. In my research I found garlic, almonds (or other nuts) and parsley in almost all of the recipes. And I was especially intrigued when I saw some using chocolate as well. Although I am quite used to chocolate mole now and even use a piece dark chocolate in my Butternut Squash Soup, savoury uses of chocolate always fascinate me. Of course, I had to give this chocolate picada a try. But I didn’t use a mortar and pestle and wasn’t too happy with the results in the food processor – I wanted a little more texture instead of a uniformly smooth sauce. So I finely chopped, minced, and grated the ingredients before stirring them all together as sauce. 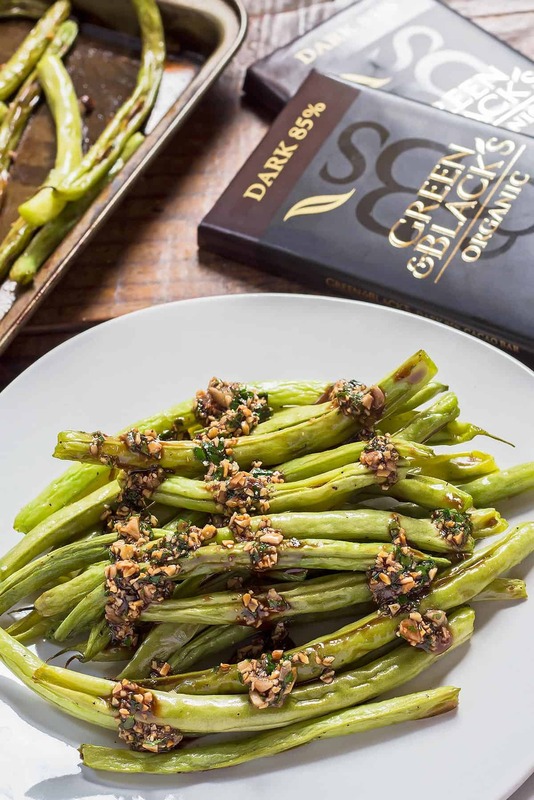 The complexity of texture and flavors – the nutty almond crunch, aromatic garlic, exotic chocolate – are so great paired with the roasted green beans. And not even just the roasted vegetables! 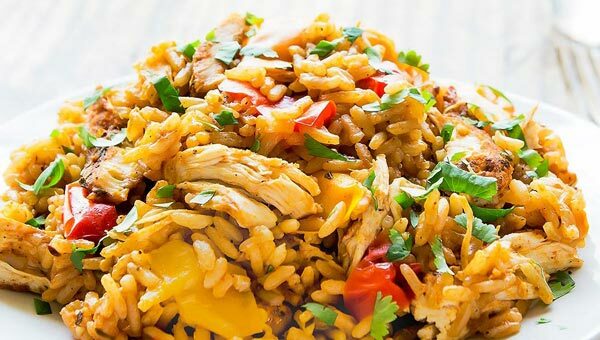 If you are serving this dish for a holiday dinner with turkey or any other poultry, try adding some of the sauce to the meat. 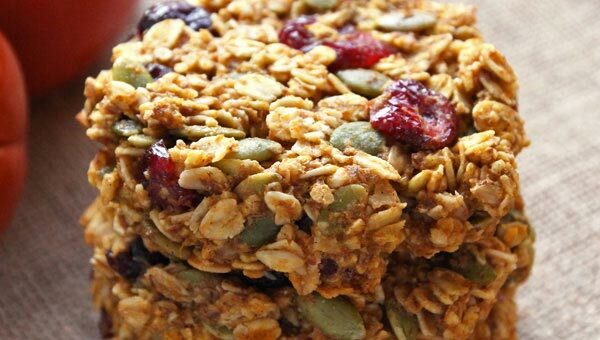 It’s mind blowing and great way to mix things up from cranberry sauce. 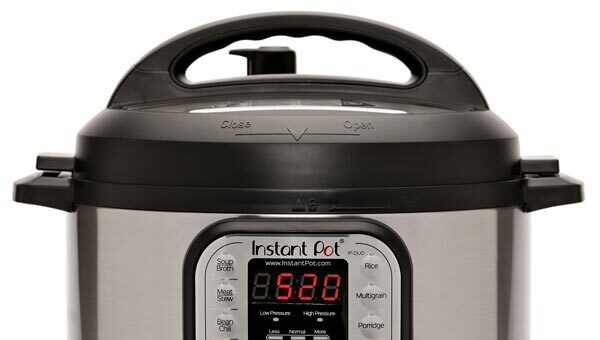 And although I haven’t tried that yet, I will definitely give the combination of Picada and fluffy mashed potatoes (I make mine in the Instant Pot) a try the next time I have both available. Start by making the garlic oil. Add olive oil and chopped garlic to a small pan. Heat slowly on low until the garlic is fragrant and softened but not browned/burned. Set aside. Place a baking sheet in the oven to heat for 10 minutes. Wash and trim the green beans. Dry thoroughly with paper towels or a clean kitchen towel. Toss the dried beans with 1 tablespoon of the garlic oil, salt, and pepper. 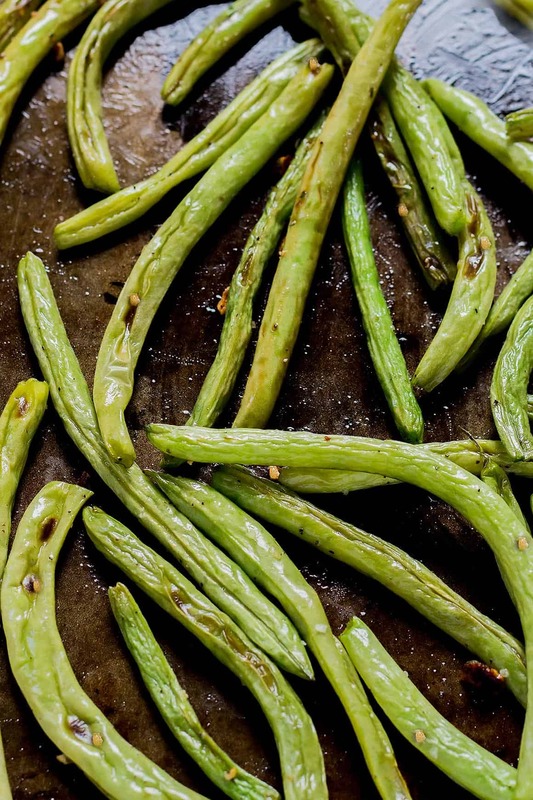 Spread green beans onto the heated baking sheet in a single layer and bake for 10 minutes. Then toss the beans, sprinkle with parmesan and bake for another 5 minutes. To make the chocolate picada, stir together finely chopped almonds, parsley, grated chocolate, salt and pepper with the remaining garlic oil in a small bowl. Serve the baked beans with a generous drizzle of picada. Any remaining picada also tastes great with poultry. Perfect, if you are serving this as a Thanksgiving side dish. Thank you Green & Black’s for sponsoring this post. And thank you for all your support to the brands that make Leelalicious possible. I think my kids are going to be excited about a “chocolate pesto” sauce! I would have never have thought of this before, it’s so interesting I HAVE to try it! That’s so new! Never thought of beans and chocolate together. Looks wonderful. It’s definitely unique, but so delicious! Hmmm….what an interesting combination here. We love beans, but I have NEVER baked them before. I can’t wait to give this a try. We love baking/roasting most of our veggies! Wow! This is so creative. I love chocolate in chilis and moles, but would have never thought to use it like this. I’m so intrigued and can’t wait to give it a try! 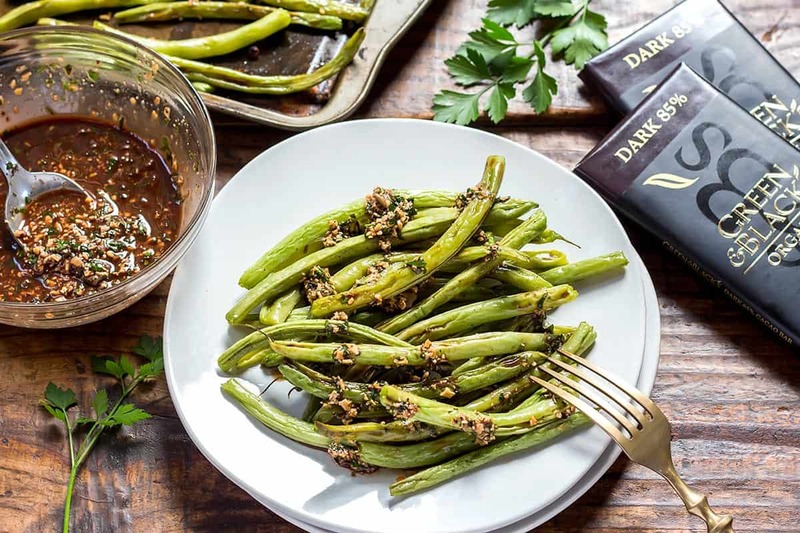 Chocolate and green beans is a combo I never would have considered, but your photo makes it look so good! I never made savory dish with chocolate. I really like this idea. Saving for later! It was a totally foreign concept to me too until I heard about Mexican mole sauce. 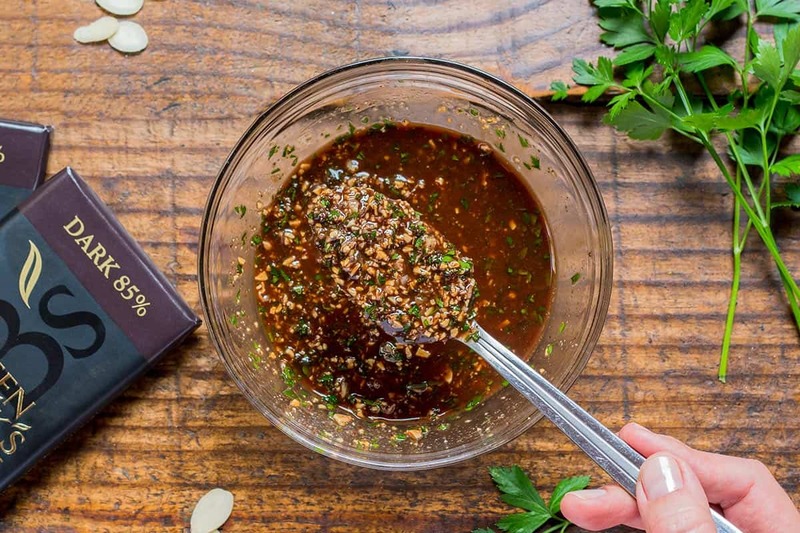 Now I also love adding a little dark chocolate to rich tomato sauces or chilis for just a little more depth! 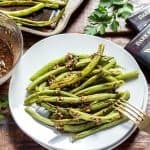 These baked green beans look incredible! I love the unique chocolate picada sauce! I’m a huge fan of using chocolate for different recipes besides dessert. I’m pinning this, thank you! Oh wow, what a unique recipe. I never would have thought to put chocolate on green beans. I wonder if my chocoholic husband would like this? What a unique combination! I love chocolate in traditional non-dessert foods, but haven’t ever tried them on veggies. I bet that would be delicious. Green and Black is a great choice, too.